SOOF lift is a kind of blepharoplasty, or eyelid surgery, which is performed on the lower eyelid. It’s a tiny, subtle change to the face that can create a much younger appearance. 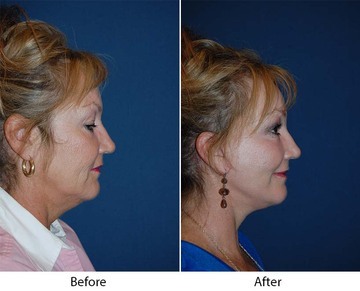 It’s a lot like a cheek lift, but causes less swelling, leading to a shorter recovery time — about one to two weeks. The surgeon will remove the stitches after five days. Ask your surgeon for advice on how to care for yourself after the SOOF lift. A SOOF lift consists of lifting the SOOF back into place and tightening the fascial layer so it stays there. This creates a more natural appearance, with less risk of failure, than removing the SOOF entirely as is done in some other procedures, such as an open lower lid blepharoplasty, in which the surgeon makes an incision under the eyelashes of the lower lid, lifts the skin and muscle and removes the fat. While this does take care of the wrinkles and puffiness, the absence of the deposit of fat gives a hollow look to the lower eyelid and tear trough. The SOOF can be replaced by another deposit of fat taken from a different part of the body, but this doesn’t always take. Hence the SOOF lift.